Residents of New Jersey were given a deadline to turn in their gun magazines or become felons overnight, and so far, no one is complying. Somehow, New Jersey lawmakers thought insane individuals who want to carry out mass shootings would be lining up to turn in their 15 round magazines as anyone caught with one of these banned magazines is now committing a fourth-degree felony. However, even the law abiding citizens are choosing to disobey—and that’s a good thing. Obama knew a bumpstock ban was executive overreach, but Trump is doing it. Trying to wrap my head around this. The current administration was duped into this so Congress could avoid the whole discussion and pretend to support the 2nd Amdt. The WH needs better advisors. Two sources from within the State Police, who spoke to AmmoLand on condition of anonymity, told AmmoLand News that they both do not know of any magazines turned over to their agency and doubted that any were turned in. They also stated that the State Police also engaged the AG’s office for guidance on how to respond to inquiries such as ours. They were unaware if the Attorney General has returned to their request for guidance. As TFTP has reported, we’ve seen similar acts of disobedience from other states like Illinois. 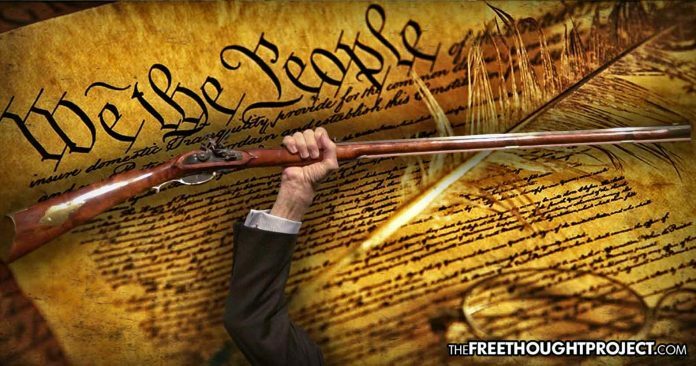 In Effingham County, IL, the town board voted in April to order its employees not to enforce any laws that would “unconstitutionally restrict the Second Amendment” to the U.S. Constitution. Board member David Campbell told Fox News that the county “decided it’s time for someone to take a hard stand.” Indeed, as we’ve noted time and again, rights are preserved and gained when good people make a stand and refuse to obey bad laws.